At the Freedom of Mind Resource Center we believe that everyone deserves the right to build their life free from undue influence. We support those affected by undue influence by providing coaching and consulting services as well as training and educational resources for individuals, families and professionals. Our team uses the Strategic Interactive Approach (SIA), developed by founder Steven Hassan, an ethical, systems-oriented method to enable loved ones to help an individual regain their freedom of mind. We also provide information to the media to help the public understand undue influence (mind control) in all of its forms including controlling people, cults, beliefs, estrangement, and parental alienation, so that everyone can have the tools and support they need to protect themselves from undue influence. For people leaving destructive cults, unhealthy group dynamics, and controlling relationships. We work one-on-one with clients rebuilding their independent, authentic sense of self, making it possible for them to move forward in their lives. For mental health professionals, law enforcement, and other people who may encounter persons suffering under undue influence, we offer workshops and other training to improve outcomes for people in these difficult situations. For anyone who is interested in learning more about undue influence, we offer online lectures and taped speaking engagements by Steven Hassan on topics such as brainwashing, cult influence, the authentic self, and the BITE model. 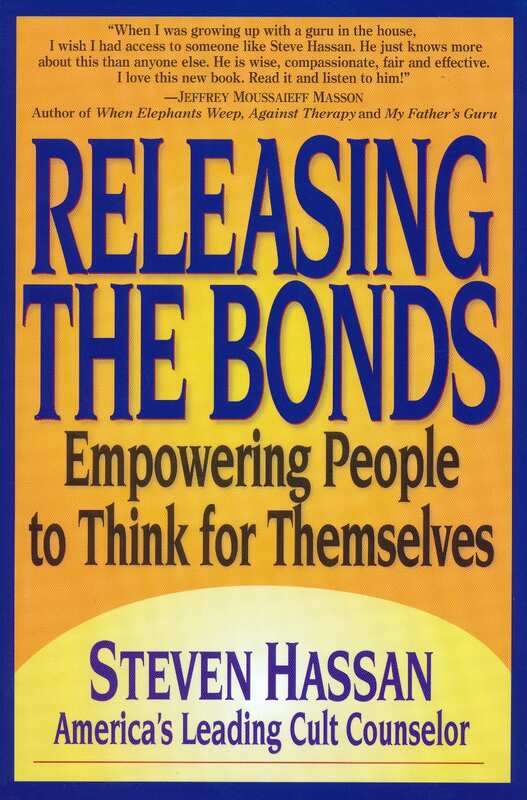 Releasing the Bonds: Empowering People to Think for Themselves is a profoundly insightful probe into a vast, expanding secret world in our everyday midst, offering hope for those lost in misery and freedom of mind for those who have the courage to overcome their fears. 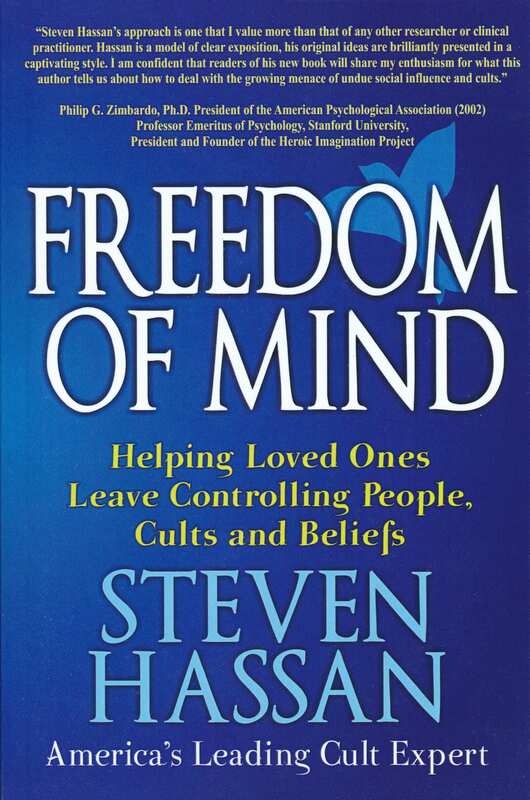 Freedom of Mind: Helping Loved Ones Leave Controlling People, Cults, and Beliefs provides the knowledge and awareness needed to help yourself and loved ones avoid or escape from such dangerous people and situations. 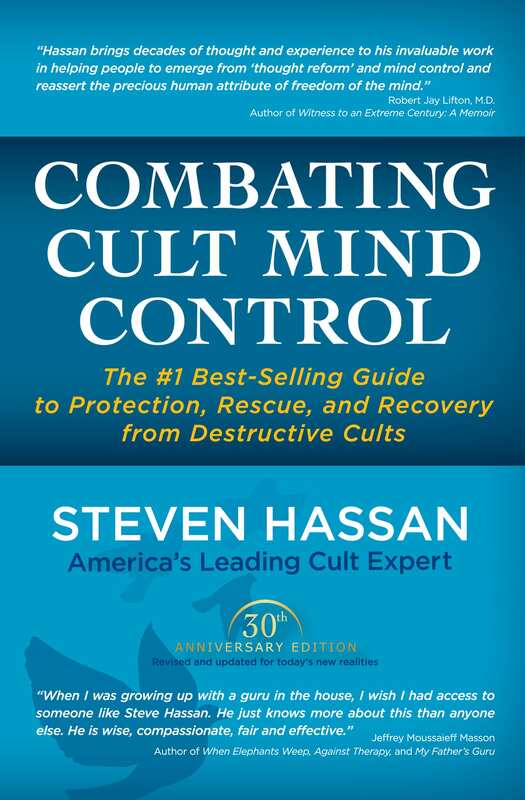 Combating Cult Mind Control: The #1 Best-selling Guide to Protection, Rescue, and Recovery from Destructive Cults will give you the tools you need to help you protect yourself and others from the use of mind-control techniques.